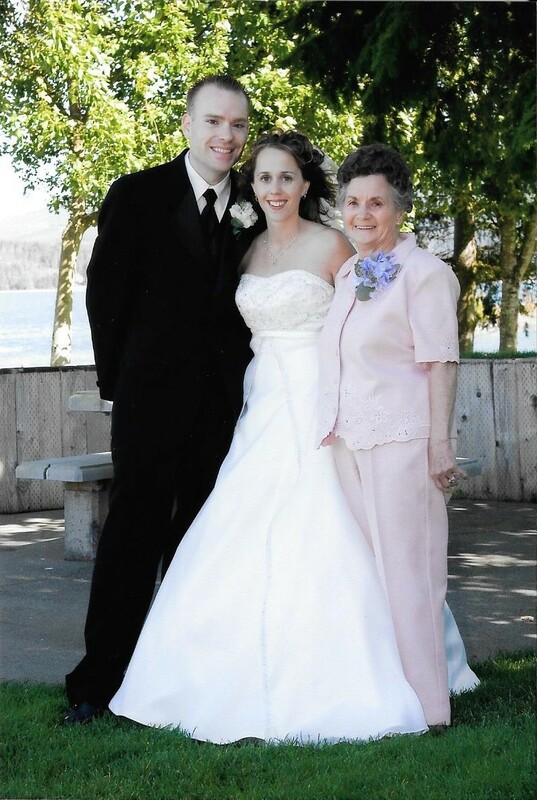 Kenny, me and Penny Grandma at our wedding, July 30th, 2005. 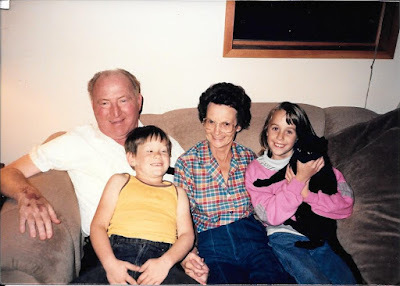 Last night my Grandma on my Dad's side passed away at the age of 92. We lovingly called her Penny Grandma since we were kids. Why? Well, she worked at JC Penny's and had a dog named Penny. Somehow that translated to Penny Grandma and it stuck. She's had a rough couple of years and her passing though expected still has a sting to it. 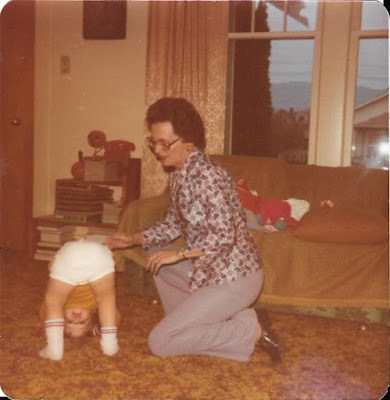 I have so many memories of my Penny Grandma growing up. Many of them revolve around spending time at her house. We had countless sleep overs and meals at her dining room table. 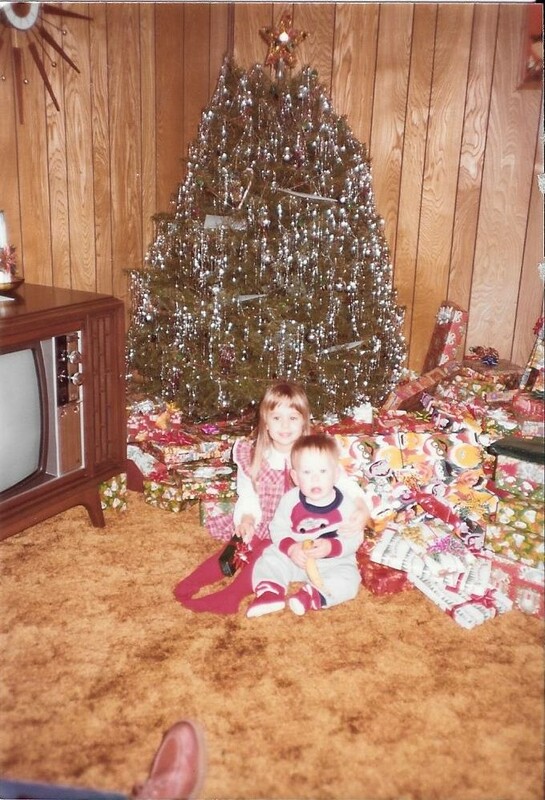 My brother and I would play for hours sliding down the stairs and exploring what seemed like endless bedrooms. We would run around outside in the yard and take walks around the neighborhood. 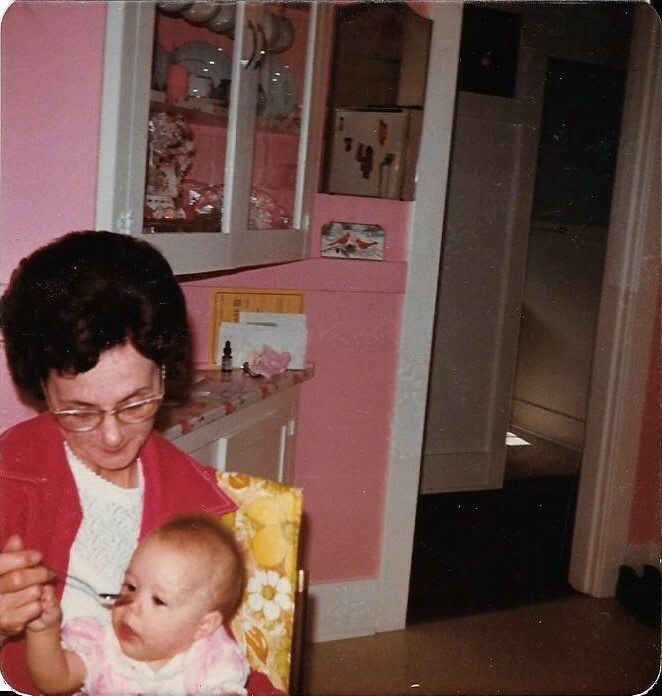 One of the most vivid memories I have of her house was picking fresh carrots out of her garden and dipping them into pink lemonade while sitting on her back steps. When I got older and went to the community college near her, I would stop by and visit during my class breaks. I had a key to her house and would hang out even if she wasn't home. When it comes down to it, I just remember my Penny Grandma being there. She has just always been there. Someone to visit when we were in town as we became adults and had kids of our own. Someone we talked about and made sure Shane and Adalyn knew how cool it was to have a Great Grandma that they got to visit and hug and entertain briefly with their crazy antics and energy. Though with distance and age they didn't get to have her fully in their lives. Her passing though a relief, due to her deteriorating health issues, stings because she won't be there any more. Penny Grandma and baby me. Penny Grandma and toddler me. 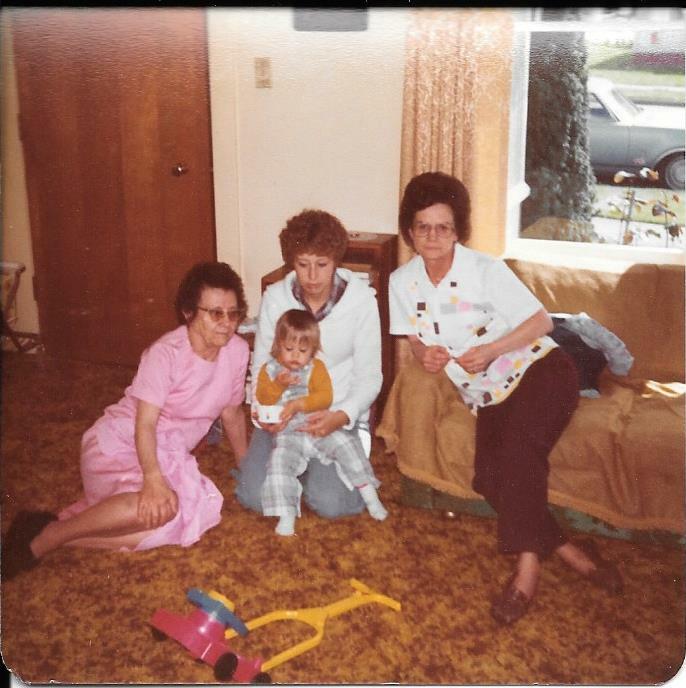 My Great "Mushy" Grandma, my Mom, Penny Grandma and me. 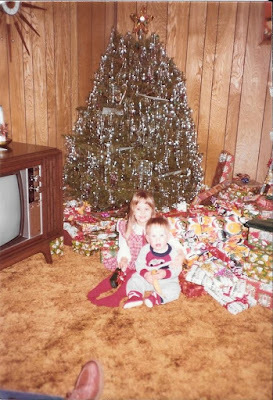 Christmas at Penny Grandma and Grandpa's house...me and my brother, Kevin. My Penny Grandpa (who passed not long after this picture was taken), my Penny Grandma, my brother, me and our cat KC (which my Penny Grandma disliked, funny they were sitting next to each other!). Penny Grandpa and Grandma at their house. 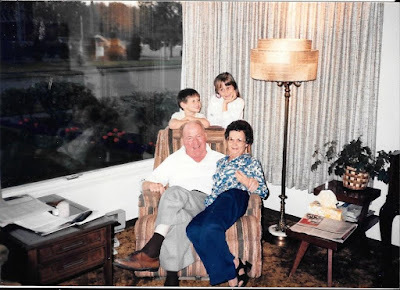 That was Penny Grandpa's chair. Along with my brother and me. I think I was in 3rd grade. Penny Grandma at our house for Adalyn's 1st birthday party. This was the only time she was able to make it to our place. It was just a long drive and a bit to chaotic for her. Adalyn (4) and Shane (7) with Penny Grandma last year. Penny Grandma, We love you! Rest in peace now. Give Mushy Grandma and Grandpa and Penny Grandpa our love!